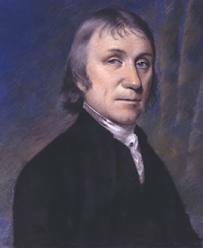 Joseph Priestley (1733 – 1804) born in Birstall, near Batley in Yorkshire was the first to artificially carbonate water 1767. Often called Soda water. In 1767, English chemist Joseph Priestly (who went on to isolate oxygen) was the first to artificially carbonate water by hanging a filled vessel over a fermentation vat at a brewery in Leeds. Fermentation vats naturally give off CO2 in the process of converting sugars into low alcohol, as in Sparkling_Wine. This initial success led to further experimentation and a published paper entitled, Impregnating Water with Fixed Air. The paper described a means of chemical carbonation by dripping vitriol (sulphuric acid) into powdered chalk (calcium carbonate) producing CO2 gas. This gas was then infused into agitated water, inducing a reaction and effervescence. Even though Priestly didn’t try to market the process commercially he did give the method and ingredients to Captain James Cook on his second voyage to the Pacific, in hope of its ability to alleviate scurvy. Unfortunately this didn't work. Priestley’s paper would however capture the eye of a young German watchmaker in Geneva, Switzerland, who would ultimately bring Priestly’s science to the masses. His name was Johann Jacob Schweppe. 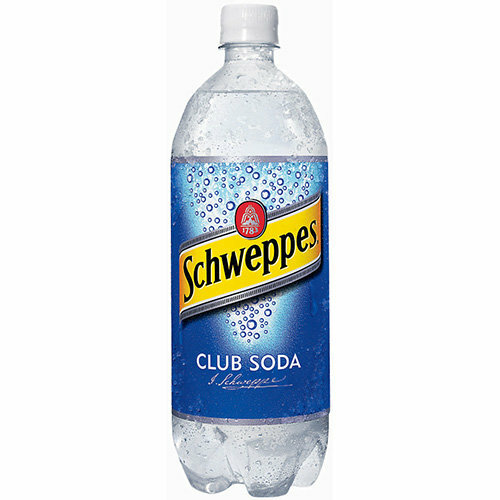 After further experimentation, Schweppe was able to simplify carbonation through the application of two common compounds – sodium bicarbonate and tartaric acid. After his initial success in Switzerland, Schweppe moved his company to England in 1792 where he set up his first mas production factory in London at 141 Drury Lane.